I found a doll of Pinocchio, franchised by Disney at the time of the film. A beautiful doll, with real clothes – I mean cloth clothes – and papier-mâché and hand-painted head, arms, and legs […] it’s in pieces in my house. Because it’s just so beat. I’ve done all kinds of things with it. I’ve cast it, I’ve taken it with me. It’s just completely beat. But it was a beautiful thing (Ackley-Murphy, 2012, p. 134). Every artist is an alchemist – as I understand the alchemical act. That’s what the story of Pinocchio is about. 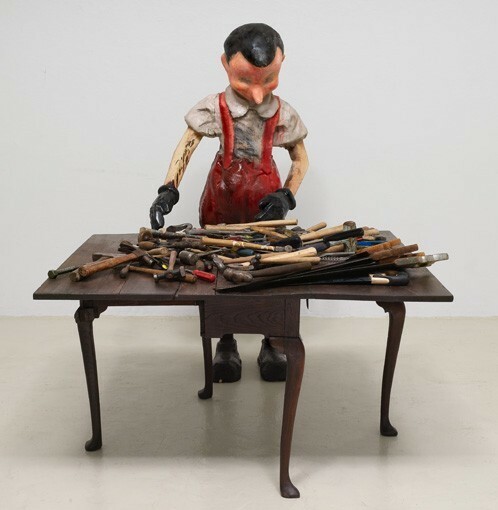 A talking stick that Geppetto carved into a boy that became alive. That was the part of the story that got to me […]. That’s why I stuck with Pinocchio and kept him in my back pocket (Ruzicka, 2002, p. 66). 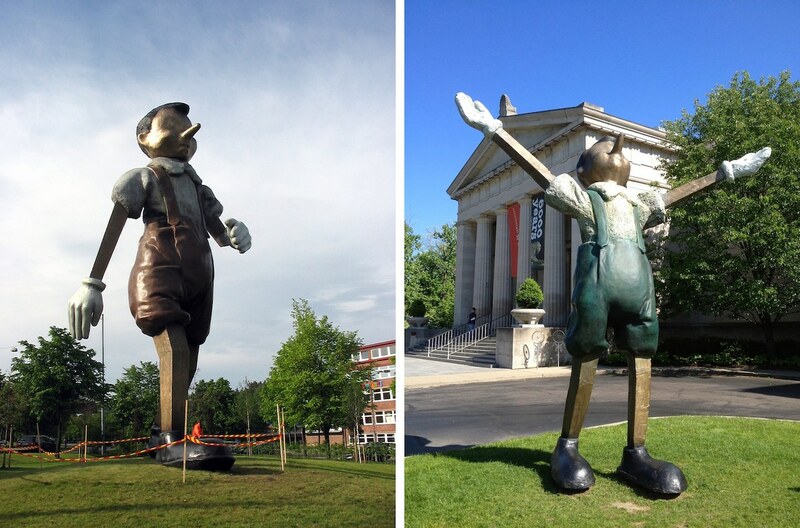 C. S. Ackley, P. Murphy, Jim Dine Printmaker: Leaving My Tracks, Boston, MFA Publications, 2012. G. Celant, C. Bell, Jim Dine: Walking Memory 1959-1969, New York, Guggenheim Museum Publications, 1999. 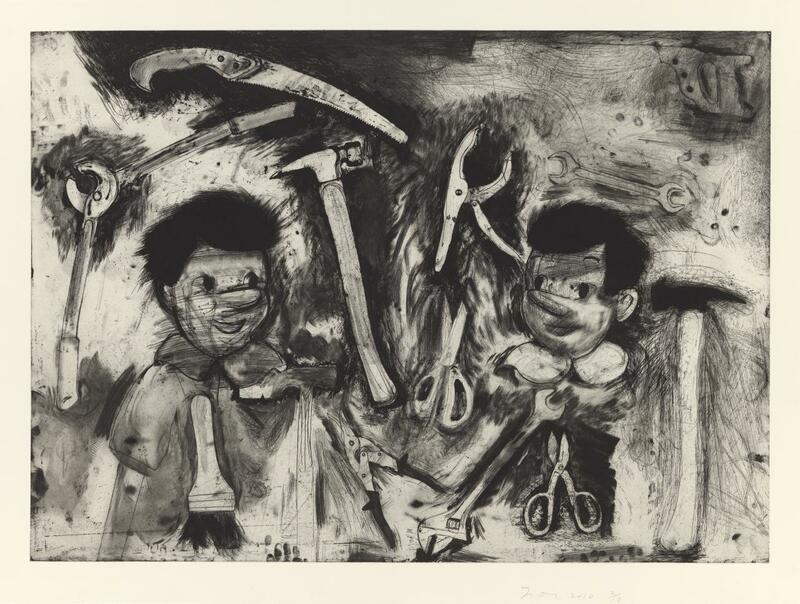 J. Ruzicka, ‘“to invent what you are”: Jim Dine and Printmaking’, Art on Paper, 6, 5, 2002, pp. 62-69.